TRAVEL.org - Utah. Find Utah hotels, Salt Lake City resorts, national parks, activities, and more. 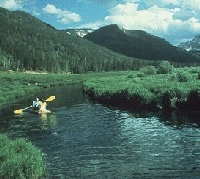 Utah Adventure Travel - Paradise for outdoor enthusiasts! Utah.gov - Official Utah's Office of Tourism consumer web site. Explore Southern Utah - Information on the region's hikes, bike rides, scenic drives and national parks. Visit Utah - Useful travel information to assist you before you visit Utah! South East Utah - San Juan County. Weird roadside attractions in Utah - well worth the stop. Kane County - Discover the hidden treasures. Hyatt Escala Lodge at Park City - Our Park City, Utah luxury resort hotel is a full-service AAA Four Diamond rated Canyons Mountain Resort offering deluxe ski in ski out accommodations. Park City Rental Properties - Come see what you've been missing out on! Rent luxury condos, homes, mansions, and resorts with us today! Park City Marriott - The Marriott Park City is the landmark choice of Park City hotels, offering world-class comfort in the heart of ski country. Experience the distinct charm of this hotel - from its savory restaurant to its atrium-style pool. Park City Properties - Offering a wide range of luxury vacation rentals in Park City, Utah, including luxury condos, rental homes, mansions and more. Ski in / ski out and hit the slopes with us today! Park City Hotels - Come see beautiful Park City with us! Offering luxury hotel and suite rentals with ski-in / ski-out availability. Marriott's MountainSide - World-class skiing, cultural events and robust seasonal activities characterize Park City, Utah, home of Marriott's MountainSide. Alpine beauty continues into your choice of guestroom, one-bedroom, or two-bedroom villa. Marriott's Summit Watch - The once quaint mining town of Park City, Utah is now an internationally renowned ski destination and home to Marriott's Summit Watch. The alpine elegance continues into your choice of guestroom, 1-bedroom, or two-bedroom villa. Park City Rental Places - Vacation Rentals - Ski Vacation Homes, Cabins, Chalet Rentals in Park City, Utah. Professionally Managed Vacation Rental Accommodations. Hyatt Place Salt Lake City/Cottonwood - is in the perfect location for business or pleasure, at the base of Big Cottonwood canyon, and within minutes of Snowbird and Brighton ski resorts. Red Lion Salt Lake City - is a traveller's dream. We're located in downtown Salt Lake City, home to some of the country's best skiing and outdoor adventure activities. Salt Lake City hotels by Marriott - put you right where you need to be in the city. For business or leisure, our hotels in Salt Lake City provide what you've come to expect from Marriott. Courtyard Salt Lake City Downtown - Discover one of the nicest downtown Salt Lake City hotels ' the Courtyard Downtown. Ideally situated, our Salt Lake City hotel's downtown location is just steps from shopping, dining & exciting attractions. Residence Inn Salt Lake City - City Center - Delight in our extended-stay hotel's Salt Lake City central location. Close to downtown & nearby ski resorts, this Salt Lake City extended-stay hotel's guest rooms are the ideal retreat from your day's adventures. Salt Lake City Hotels and Accommodations - Discounted rates on Hotel rooms, Car Rentals, Flights, Vacation Rentals. Discountedhotels.com, your complete travel resource. Deer Valley Rental Places - Vacation Rentals - Ski Vacation Homes, Cabins, Chalet Rentals in Deer Valley Utah. Professionally Managed Vacation Rental Accommodations. Best Western Utah Hotels - You'll find a great selection of Best Western hotels and motels located all over the beautiful Beehive State.